Whim is a collection of media focused on independent rock/pop/garage and everything surrounding it. Two autumnal records are on the horizon, courtesy of Midwest musicians Night Moves and Merseyside, UK’s Stealing Sheep. Lots of satisfaction that you can feel in your bones here, as both bands transmute psychedelic habits into burnt country backdrops to create mesmerizing, earthy tracks. Minneapolis musicians Night Moves remind one of Portugal. 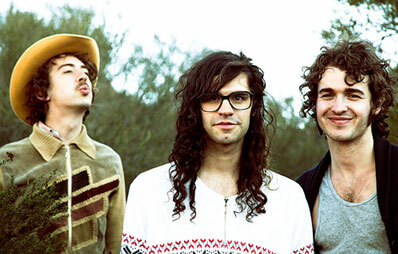 The Man‘s Americana-influenced psych rock on their latest singles, “Headlights” and “Country Queen”. Speaking vaguely about feeling directionless, the band questions personal comforts (“I just don’t know who I am”) while simultaneously providing comfort in the form of gentle falsetto mantras (“It’s alright”) that bring the song to a slow and smooth close. Their debut album, Colored Emotions, comes out October 16th on Domino Records. Full tracklisting and tour dates to follow. Psych-folk flows on with UK musicians Stealing Sheep, who, in this witchy video for “I Am The Rain”, walk through forests of smoke to greet sunsets and orbs of light. Equally compelling is the band’s gritty stop-motion video for “Shut Eye”, which thunders, rhythm-heavy, past porcelain dolls and paper cut-outs, into fields of singing faeries. The trio’s debut record, Into The Diamond Sun, will be released on September 4th, on Heavenly Recordings and Cooperative Music. Full tracklisting below.